9x12, xiii + 132 pp. British-born composer Clara Kathleen Rogers (1844–1931) studied piano and voice at the Leipzig conservatory (1857–60). During the 1860s and 1870s, she performed as an opera and concert singer in Europe and the United States under the name Clara Doria. From 1873 to her death she lived in Boston, where she flourished as a performer, author, teacher, and composer. Between 1882 and 1906, Rogers published a significant oeuvre of songs, a sonata for violin and piano, and several short piano works. The previously unpublished chamber works presented in this edition--string quartet, op. 5 (1859–ca. 1865), sonata for violoncello and piano, op. 23 (ca. 1885), and Reverie for violoncello and piano (ca. 1886–87)--were highly regarded by her contemporaries. 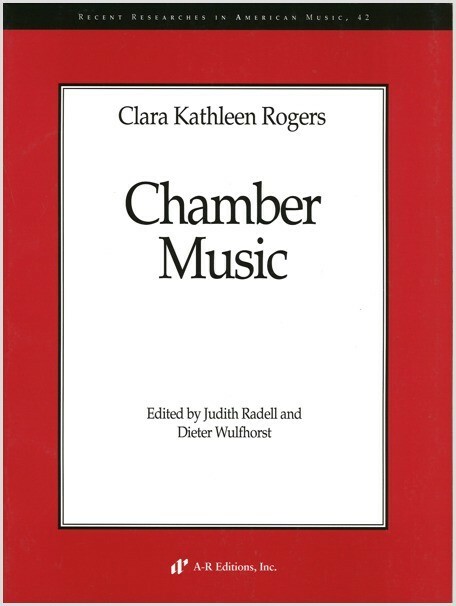 Idiomatic, virtuosic, and Romantic, Rogers’s chamber works are worthy of comparison to those of her contemporaries, Arthur Foote and Amy Beach.